As one of our valued referrers, we are pleased to invite you to our Professional Development Seminar Series. 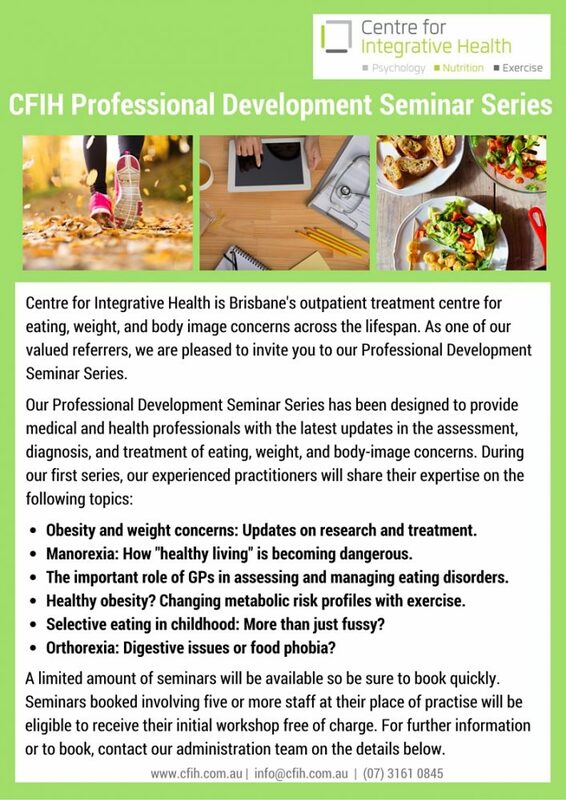 Our Professional Development Seminar Series has been designed to provide medical and health-professionals with the latest updates in the assessment, diagnosis, and treatment of eating, weight, and body-image concerns. Obesity and weight concerns: Updates on research and treatment. 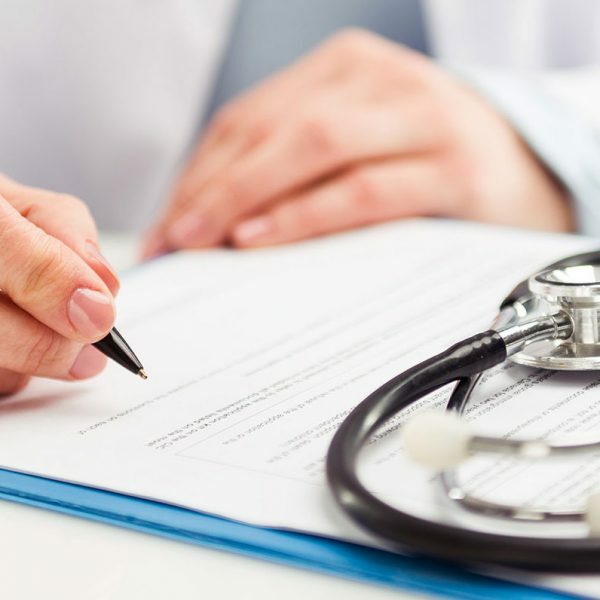 The important role of GPs in assessing and managing eating disorders. Female Athlete Triad: Risk factors, assessment and treatment. Selective eating in childhood: More than just fussy? Orthorexia: Digestive issues or food phobia? A limited number of seminars are available. Seminars booked involving five or more practitioners will be eligible to receive their initial workshop free of charge. For a full list of the topics available or further information, please refer to the flyer. 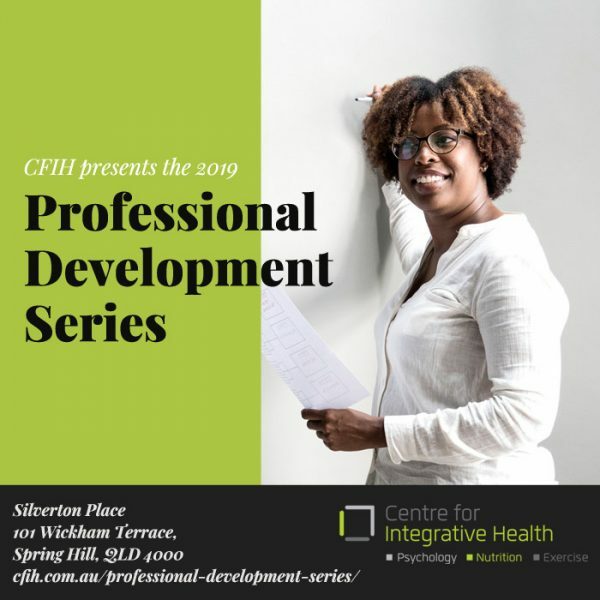 To book in your free, in-house professional development workshop on the topic of your choice, please contact us or use the form. We'll get back to you as soon as possible. Browse our upcoming seminars, workshops and other professional development opportunities here. 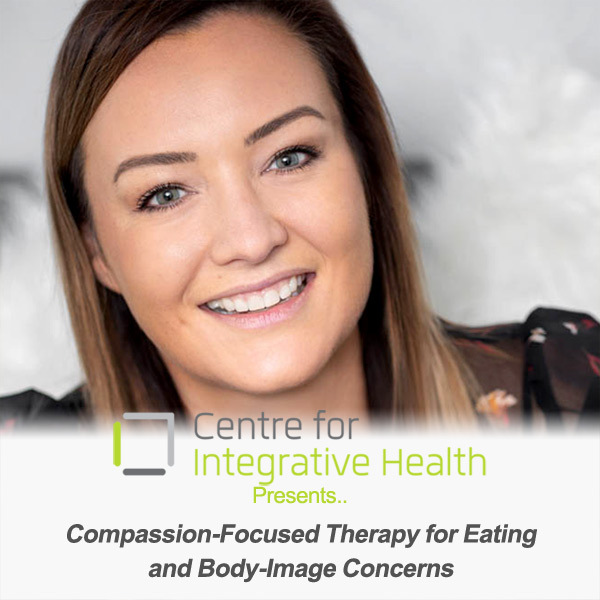 Come back often; we offer a broad range of sessions and chances to broaden your knowledge, and take part in researching the field of eating disorders.